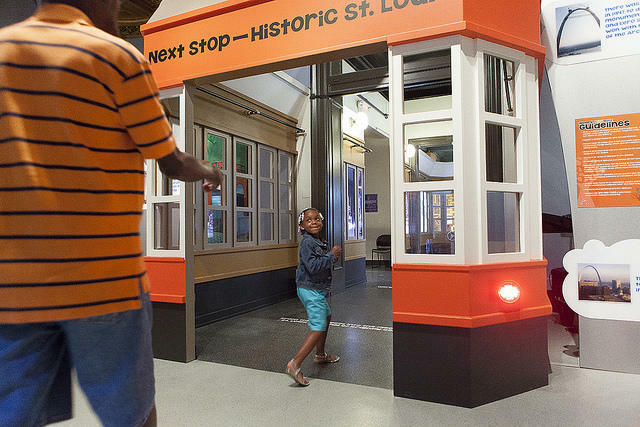 In History Clubhouse, children can board a trolley to go back in time to Historic St. Louis. Lindsay Newton, youth and family programs manager at the Missouri History Museum, discusses its first-ever permanent exhibit for kids. Lindsay Newton is the youth and family programs manager at the Missouri History Museum. She says the exhibit is the first of its kind at the museum—designed for, and by, kids. “We just realized that there was a need,” she said. The history museum already provided other programs for families, but they were often overbooked. Newton and her team realized that there was a demand for a permanent exhibit completely dedicated to children. But actually constructing the space involved years of planning and testing. “We knew, because this was such a different endeavor for us, and we wanted something for families, it needed to be by families,” Newton said. Her team visited museums all over the country; surveyed participants at existing youth and family programs; sent family focus groups to other local exhibits; and took feedback from kids and parents alike at a prototype established last year. The precursor exhibit, called History Clubhouse: Let’s Build It!, encouraged families to play, experiment, and provide feedback on the design. “I can honestly say pretty much everything that we’ve built was because kids gave us the idea,” Newton said. In the permanent exhibit, kids enter a giant clubhouse—about 5,000-6,000 square feet—where everything is hands-on, said Newton. The first scene is modern Downtown St. Louis; kids then take a trolley “back in time” to the Mississippi River steamboat era. The next stop is the ancient Mississippian culture in Cahokia, where kids can farm, fish, and play traditional games; and finally, children can serve fair food at the 1904 World’s Fair. 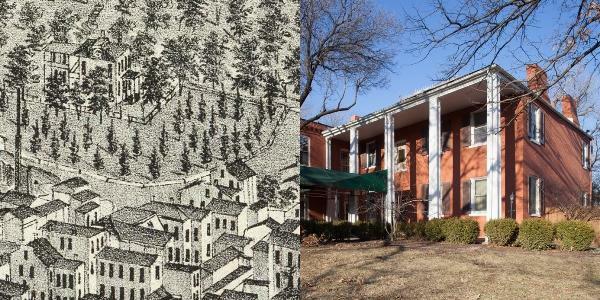 By allowing kids to interact with Missouri lifestyles of 100 and 1000 years ago, the history museum hopes not only to educate, but to spark children’s interest in local history. 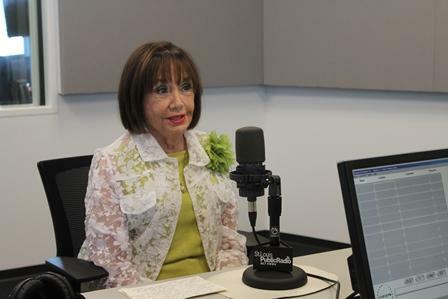 Last month, St. Louis Public Radio reported on the discovery of the first physical evidence of the French Colonial settlers in St. Louis at the Poplar Street Bridge. 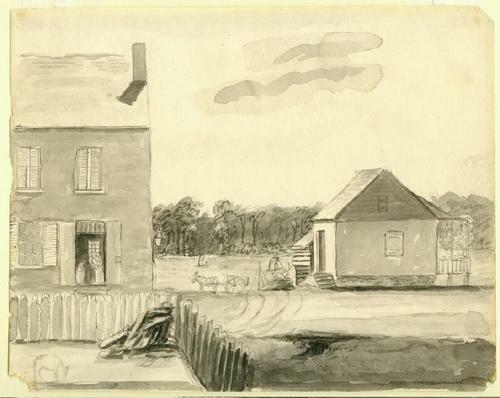 In response, the Missouri History Museum wrote a post on its History Happens Here blog about works in their collection that demonstrate life in French Colonial St. Louis. The historic town of Ste. Genevieve, Mo.